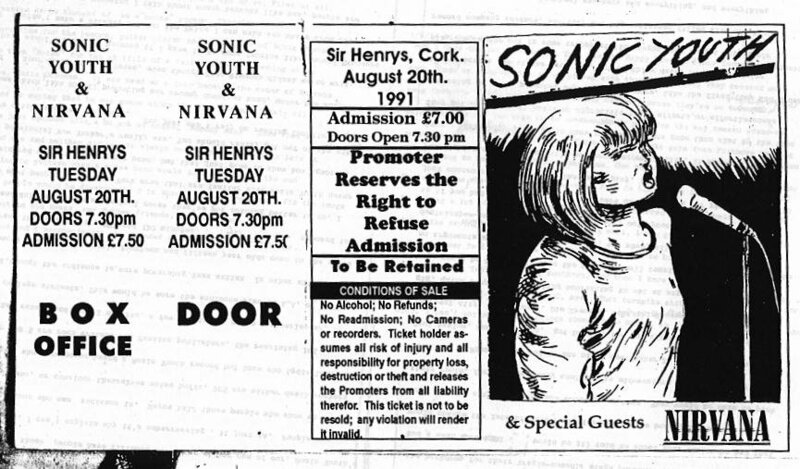 NIRVANA FAMOUSLY played Sir Henry’s in Cork in 1991, as support to Sonic Youth. In a 1993 interview, Kurt cobain discussed his visit to the Rebel County. He said he discovered that his name originated in Cork, and describes how he felt wandering around the city. The entire day I walked around in a daze. I never felt more spiritual in my life. I was almost in tears, it was the weirdest thing. Here’s the interview – listen from the 39-second mark. Email “Here's what Kurt Cobain thought about visiting Cork”. Feedback on “Here's what Kurt Cobain thought about visiting Cork”.